For weight conscious people,this one is one of the most important health benefits of coconut water. Because it is very low in fat, you can drink as much as you can without worrying about ingesting a lot of fattening agents, such as milk and the like. It can also help you feel full thus, decreasing your cravings for excessive foods. As mentioned before, it is also very low in sugar so you're actually preventing the onset on diabetes if you drink it. It has more hydrating properties than the average tap water, so drinking it can certainly help your digestion well. Thus, you'll be able to absorb food nutrients better and have easier bowel time when you drink it. Flu and herpes are some of the sickness caused by different kinds of viruses attacks the body. 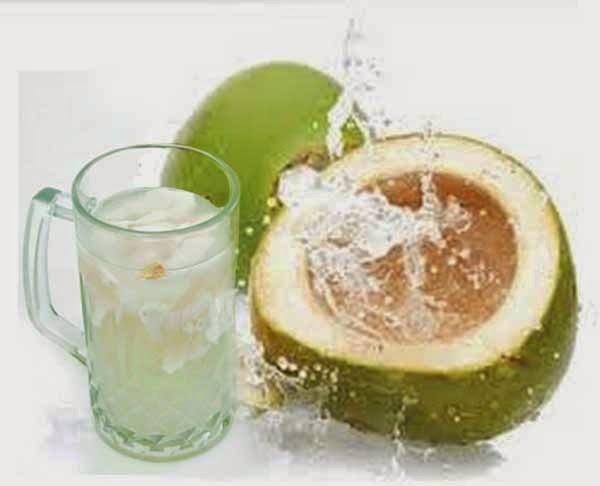 Coconut water has anti-vital and anti -fungal properties that can help steer clear from disease and more. 5. Help revitalise your cells and boost your metabolism. It contains less sodium and more potassium than the average energy or sports drink that's why it is a highly recommendable substitute for the expensive and artificial products.